Remove the aluminum lid in the frosting jar. Melt the frosting in the microwave for 30 seconds. Pour the frosting into a small bowl. 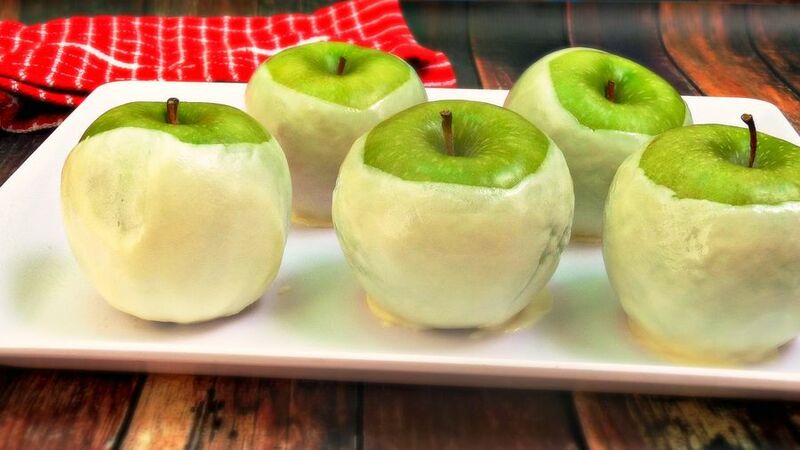 Soak the apples, one at a time, in the melted frosting until they’re completely covered. Put the apples on a baking tray covered in wax paper. Let them stand for at least 15 minutes. Melt the chocolate chips in a small bowl for about 30 seconds. Pour the chocolate into a small plastic bag. Make a small cut into the bag’s corner. 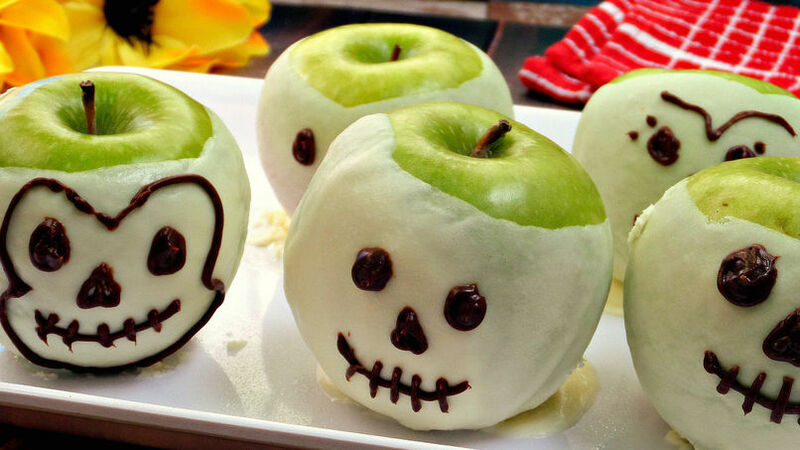 Decorate the apples as skulls. 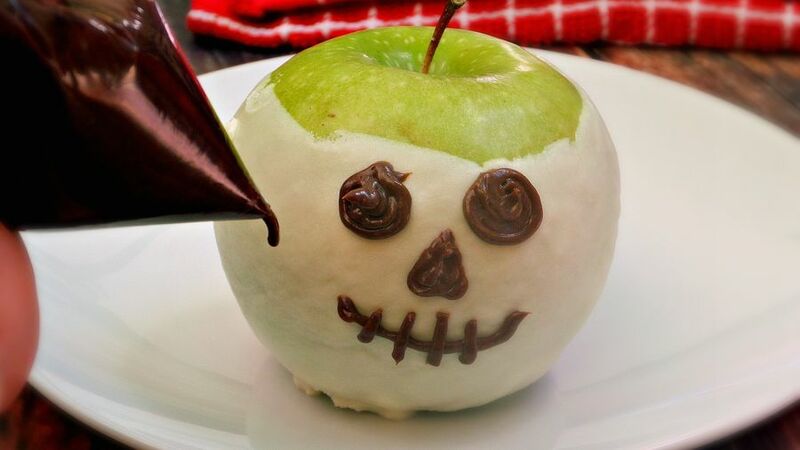 Change the look of your skulls by using chocolate frosting and white chocolate chips when decorating.